4DX, an advanced motion picture technology providing a multi-sensory experience, and 4DX with ScreenX, the world’s first immersive cinema, are globally acknowledged for their innovative features. 4DX is emerging as the center of attention around the globe as the next-generation cinema experience. 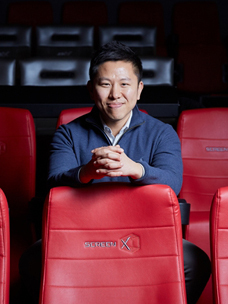 ▲ 4DX with ScreenX is a combination of 4DX technology and ScreenX, which is a multi-projection theater technology that expands the image of the feature film to the left and right walls of the theater. 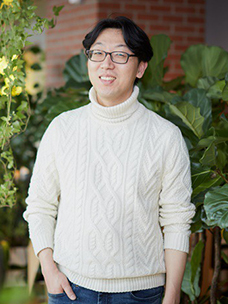 CJ CGV (CEO Choi Byung-hwan) announced on the 11th that CJ 4DPLEX (CEO Kim Jong-ryul) was selected as one of “The World’s Most Innovative Companies 2019” in the live event sector by Fast Company, a US-based business magazine. CJ 4DPLEX received high scores for enabling moviegoers around the world to experience multi-sensory immersion through the global expansion of both 4DX developed solely by CJ 4DPLEX and 4DX with ScreenX. In 2018 alone, 4DX was applied to 139 theaters in 30 countries, raising the total number of theaters equipped with the technology to over 600 around the world. This designation comes on the back of the rave reviews coming from Paris, France, home of the world’s first theater outside Korea applied with 4DX with ScreenX. 4DX with ScreenX also took home the Silver Prize for Media, Visual Communications, and Entertainment at the 2018 Edison Awards, a prestigious award that honor excellence in technological innovation. Fast Company is a business magazine established in 1995 and specializing in technological innovation and innovative designs in different industries. Since 2008, it has annually selected and announced its list of companies that have had the most revolutionary and insightful impact on industry and culture that year as “The World’s Most Innovative Companies”. This year marks its 12th installment, and the companies were selected across 41 sectors including live event, media, space, etc. The live event sector selects companies that provide real-time information and experiences to customers based on innovative technologies. CJ 4DPLEX was acknowledged for the second time following its selection in 2017, which was a first among Korean cinema and theater businesses. This year, CJ 4DPLEX was announced as a winner in this sector alongside Intel, a non-memory semiconductor company; Allied Esports, a global esports entertainment company; etc.